This month’s email has news on Brexit, Crossrail 2, and more. Below are just some of the things I have been doing locally and in Parliament over the last few weeks. St John Fisher Primary School – Spoke to the school’s assembly about the work of a Member of Parliament and visited the new nursery garden. Crossrail 2 – Spoke to the Chief Executive about the project’s progress and level crossings at Motspur Park and West Barnes Lane. Small Business Awards – Visited the team at Business Clan in West Wimbledon, winners of the Federation of Small Business' employer of the year award. Royal Wedding – popped along to the Bronson Road Royal Wedding street party. Morley Park – met with the Friends of Morley Park to discuss what we can do to get the park open to the public again. Travellers and Fly Tipping in Raynes Park – visited the scene of the fly tipping with local Councillors to talk to local residents and press the Council and landowners to clear it up. St George’s Hospital – Met with the new Chief Executive of St George’s Hospital to hear her plans. Young Wimbledon Artists Summer Show – attended a viewing at the Normal Plastow Gallery to support the Young Wimbledon Artists Summer Awards. Belvedere Estate Residents Association – gave a short update on local issues at their AGM. As ever, I am always happy to attend meetings of local groups, so do get in touch if you would like me to join you. Last month there were elections for the sixty councillors who sit on Merton Council. They deal with issues such as litter collection, parking and planning in the area. The Labour Party retained control of Merton Council with 34 councillors and the Conservative Party won 17 councillors. You can find out who your councillor is here. I would like to take this opportunity to congratulate all those who were elected. I would also like to say a special thank you to Abdul Latif, Charlie Chirico, Michael Bull, Suzanne Grocott, Jill West, John Bowcott, Hamish Badenoch, Linda Taylor and Brian and Gilli Lewis-Lavender who are no longer Councillors and served their areas diligently. Last week saw two days of consideration of Lords amendments to the EU (Withdrawal) Bill. Most importantly the Government accepted the Lord’s amendment on Northern Ireland which rules out any physical infrastructure at the border. The significance of this cannot be overstated. The result of this amendment is that the Government is legally compelled to ensure there is frictionless trade between the UK and EU to avoid border infrastructure in Ireland. I am also very pleased that the Government has listened to me and my colleagues by making huge concessions on refugee rights, environmental standards, and participating in EU agencies. Finally, after much negotiation we have secured meaningful amendable votes over the final deal and in the event of no deal. Please see my website for a full statement on this. I spoke with the Chief Executive of Crossrail 2 last week. At present, Crossrail 2 are undertaking an “Independent Affordability Review" to examine ways of making the scheme more affordable. The review will submit an interim report to the DfT and TfL this summer, outlining options as to how the project could be made more affordable. A more detailed final report will be submitted at a later date in light of the recommendations made in the interim report. I raised recent media reports that the value of properties near Crossrail 2 stations would be levied to help fund the project. I was told these reports were overblown, and there is currently no process, powers or legislation in place to apply land value capture. I also raised the news that Crossrail 2 are considering permanently closing the level crossings on West Barnes Lane and at Motspur Park when the line opens. You can find more details here. I told the Chief Executive that any permanent level crossing closures in the area will be completely unacceptable without full plans to address both the road and pedestrian traffic needs. On Sunday 29th July the Ride London Cycle event will be passing through Wimbledon again. This will mean large parts of Wimbledon Hill Road, Worple Road and Wimbledon Village will be effectively closed from 7am-7pm. There are access points for both cars and pedestrians to cross over the route. Details of these can be found here. Earlier this month Heidi Allen MP sent a letter to the Prime Minister, which I signed, asking for immigration rules to be relaxed for NHS staff. I am very pleased therefore that the Home Secretary, Sajid Javid, has set out plans to remove overseas medical staff from the annual cap on skilled workers coming to the UK from Friday. The removal of medical staff from the cap will create more space for other skilled migrants to work in the UK, such as engineers and teachers. 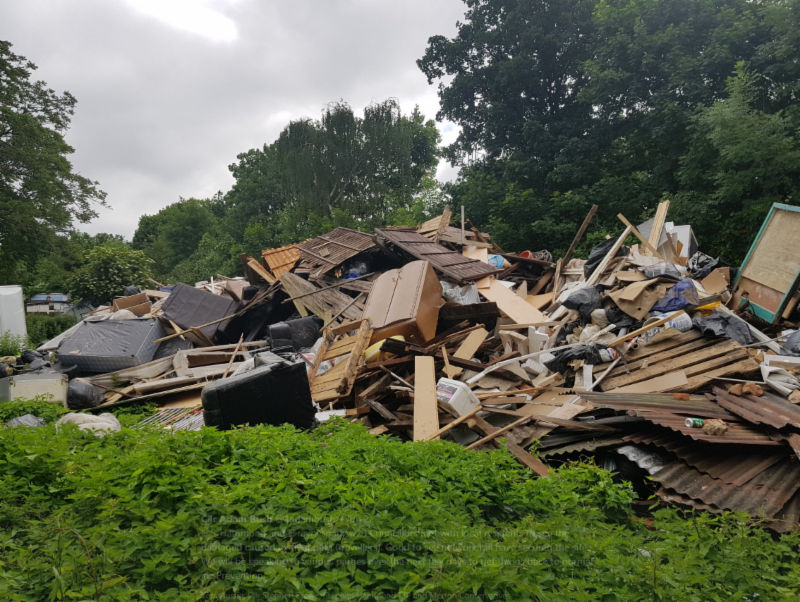 Last month a traveller encampment at 39 West Barnes Lane, Raynes Park created a significant amount of disruption and fly tipping. Your councillors and I continue to urge all responsible parties to ensure that the waste left behind on West Barnes Lane by the travellers is cleared up as soon as possible. I recently attended the West Barnes Library Fair. They urgently need more volunteers to help at a range of levels assisting the staff. You could be helping keep the library open for the people of Motspur Park. Training will be given. For details and to apply, please ask at the counter. The fantastic, community organised, MyRaynesPark Festival is back for its ninth year between June 29th and July 8th. I shall be attending on 8th July. Do take a look at their full programme on their website. Gas works on Grand Drive will begin on 23rd July and last approximately 20 weeks. For the duration of this, Grand Drive will be made one-way southbound. I am always happy to highlight local events in my community email, and if you would like me to do so, please let me know by replying to this email. Below is a message from Wimbledon Theatre about their upcoming productions. June at New Wimbledon Theatre is month of diversity with star names including Danny Baker, Brian Conley, Strictly Come Dancing’s Kevin & Karen and even the Teletubbies! The musical Legally Blonde, based on the classic movie, makes a welcome return to the Wimbledon stage from 18th June. And the Wimbledon tennis fortnight starts a day early with In Conversation with Judy Murray on Sunday 1 July at the theatre. July also sees the UK Premiere of the theatre production of Madagascar – a Musical Adventure – see this fabulous family-friendly production first in Wimbledon before an extensive UK tour. Domestic abuse is under-reported, and many of those affected suffer in silence. Coercive control is probably the most destructive form of abuse leading to lack of self-esteem, loss of self-worth and in some cases even suicide. A locally based writer and her sister, who has worked in the police with domestic violence victims, have produced a hard-hitting film entitled ‘Waking Up Dead’ on the subject, and this is to be shown at 2pm on Monday, 16 July, at the Wimbledon Curzon. Tickets are £5 plus an 83 pence fee and can be purchased by clicking here.